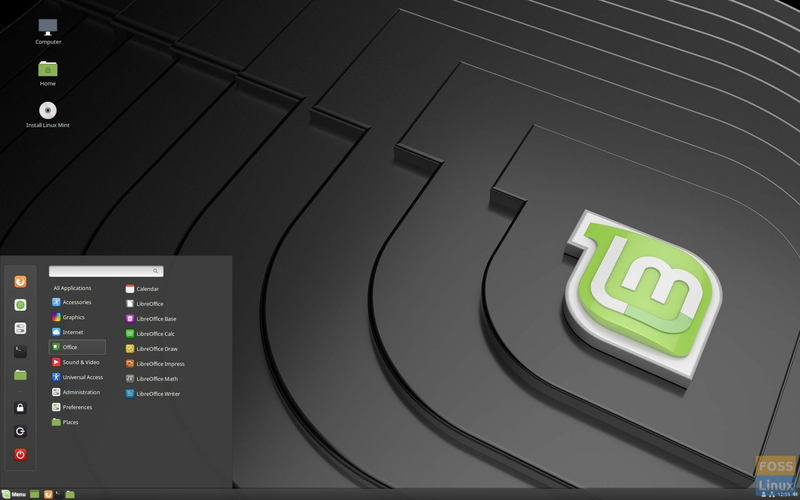 Linux Mint 18.3 codenamed ‘Sylvia’ was a major update to the most downloaded Linux distribution according to distrowatch. The development of next version has begun and is in full throttle. Dubbed as “Tara”, Mint team’s plan is to release it around May-June 2018. Linux Mint 19.x series will receive a Long Term Support (LTS), so typically, it will follow point release cycle of 5 years update until 2023. Mint team code names the build with female names in alphabetical order. For example, Linux Mint 18 was codenamed “Sarah”, 18.1 was “Serena”, 18.2 was “Sonya”, and the latest version 18.3 is named “Sylvia”. “Tara” was chosen by the team for being a popular name in the Mint’s home country, Ireland. There is no surprise here. Linux Mint is derived from Ubuntu. Therefore, it follows Ubuntu footpath and a new version is launched a couple of months after Ubuntu is released. 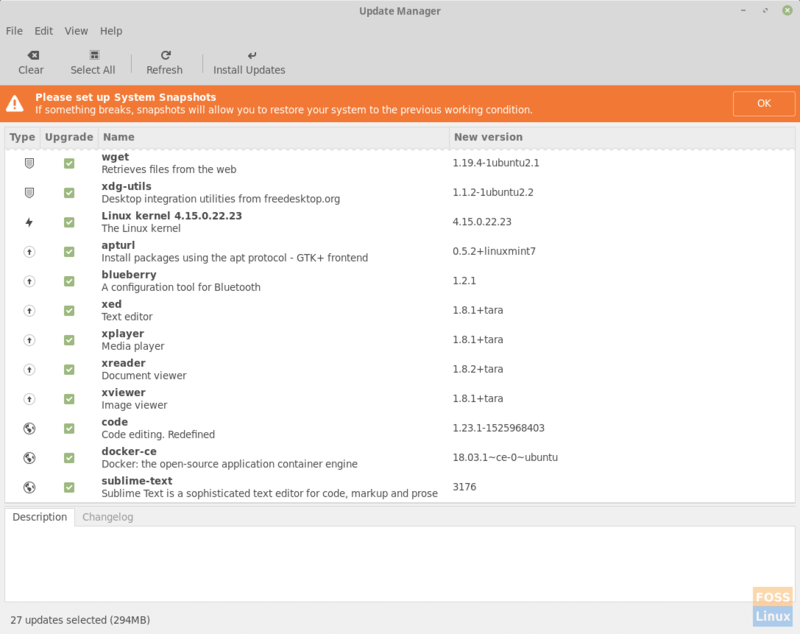 Ubuntu 18.04 is in development for April ’18 launch, so Tara’s base is Ubuntu 18.04. Linux Mint 19.x will use GTK+ 3.22. GTK+ is a toolkit for creating graphical user interfaces, and 3.22 is a major release for GTK3 offering several performance improvements and backend features addition for creating the GUI widgets. Since around 10 years back when Linux Mint originated, KDE edition was always included along with MATE and their most popular Cinnamon edition. The Mint team has decided to kill KDE edition of Linux Mint starting from Tara. I think this decision makes sense as there is Kubuntu for the KDE Plasma lovers! The mint team can instead focus their energy on the most valuable editions, Cinnamon and Xfce. Personally, I think Xfce is something to watch out for in the future. It is growing rapidly popular for its super light-weight performance. Linux distributions are widely known to be less ‘sharp’ in appearance than the Windows and Mac OS counterpart, but I think this is soon going to be an issue of past. We see increasing use of HiDPI these days. Upcoming elementary OS 5.0 Juno will also feature HiDPI is some apps. So overall, you will no longer see those blurry Mint welcome icons and the cinnamon startup apps icons beginning with Tara! The famous Mint welcome screen will see some UI changes including the addition of new useful links for the user guide, codecs, popular settings, popular apps etc.. The desktop search will yield results from local files, web engines, recent apps, dictionary, and translations. Tara will get improvements in the Mint update tool. Mainly, the team is focusing on safeguarding against accidental package removals. For example, not allow users to perform updates which would remove sensitive packages. It will also throw a notice to reboot the computer when needed. Cinnamon will slightly boot faster in Linux Mint 19.x onward. Apparently, the team has identified a delay execution of a system process until the desktop environment is fully loaded. This issue will be fixed. Nemo will have added new capabilities including the ability to skip GVFS when possible. Full-text search and the asynchronous search will be possible. Apart from that, there will be several performance improvements and UI changes. The team is trying to fix those blurry video thumbnails too in this version. Timeshift was introduced in Linux Mint 18.3 and backported to all Linux Mint releases. The tool lets you restore your computer to the last know good configuration. The utility has been improved vastly in “Tara”. If anything breaks, you can go back to the previous snapshot and it’s as if the problem never happened. That’s it for now. As mentioned, stay tuned with us for complete updates on the Linux Mint 19 development. Which one you like the most? Ubuntu or Mint? I do like Kubuntu but I use right now Mint as daily driver. What would be your recommendation? Mint 18.3 Cinnamon And Mate. Although I find the theming / Compiz functionality quite glitchy…… Cinnamon ai think is really stable…… Hardly freeze-ups……on my Intel iNuc…..
As a tech who’s worked with nearly every publuc OS in the past 20 years, I’ve fully converted my personal and company machines to Mint with Cinnoman. No crashing, no glitches, and I use it all day every day for conference calls, networking, media streaming, etc, with multiple monitors and lots of running communication apps. I’ll never return to the broken, bloated, non-supported, advertising pushing, glitchy mess of Microsoft. And the problem of Apple hardware not being upgradable, high cost, and the constant changing of ‘standard’ connections means that they’re a fad product, not a long term workhorse. I’m loving Linux and see no reason to ever return to inferior products. If you usage is limited to browsing, watching media then try Solus OS. I am using the distro and it is very good & clean. 1. Wine in Play On Linux does not work and I confirmed this with quite a number of tries already. The message “Error in POL_Wine” keeps appearing even after I have removed and reinstalled a fresh copy of Wine environments for quite a few times. This actually worked without hitches in 18.3 Sylvia. 2. The right-side-oriented Panel covers the right side of application windows thereby blocking the scroll bars and the application window close button at the top-right corner. 3. In the release notes, there’s also some mention about the Synaptic driver for touchpad devices and I found that the double-tap action works inconsistently in 19 Tara. There is much less manifestation of this quirk in 18.3 Sylvia. 4. The colors in the Terminal console had been changed such that the prompt is now white or cream. In the 18.3 Sylvia version, the prompt is colored green. I understand that this may be due to the default bash packaging but the 18.3 Sylvia version had the more intuitive approach by default, in my opinion. 5. Mate was supposed to be less graphically intensive than Cinnamon but I now find application window shadows in the 19 Tara edition that I don’t really care for. I either have to find and tweak the offending setting in Compiz or remove Compiz altogether. There may be some other niggles but these have been a few that’s getting tedious. I’m still inclined in updating my installations to 19 Tara though but I’m not as excited to do it coming from the 17 series onto the 18 series and onto the 18 sub-series.